Insight into the Summary Tab. Zoom: Insight into what the Summary tab has to offer. 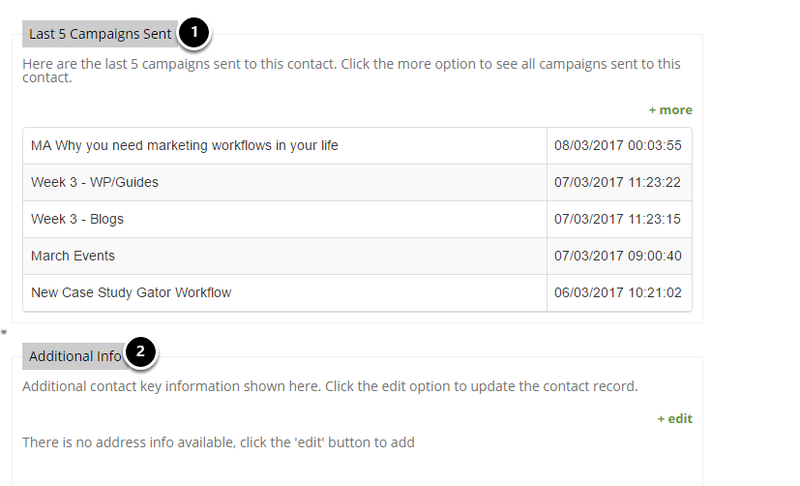 The contact record gives you quick information such as the email address, plus the ability to search for them on Linkedin. The Activity Bar shows how active the user has been. These blocks represent the level of interest shown by each user. The Delivery Status of the user, which enables you to see if they should be receiving the email. In this instance it's deliverable. The devices that the user utilises to open and view their emails. The last five activities that the user has completed within the campaigns. Gives you the opportunity to view more activities by clicking on "more". 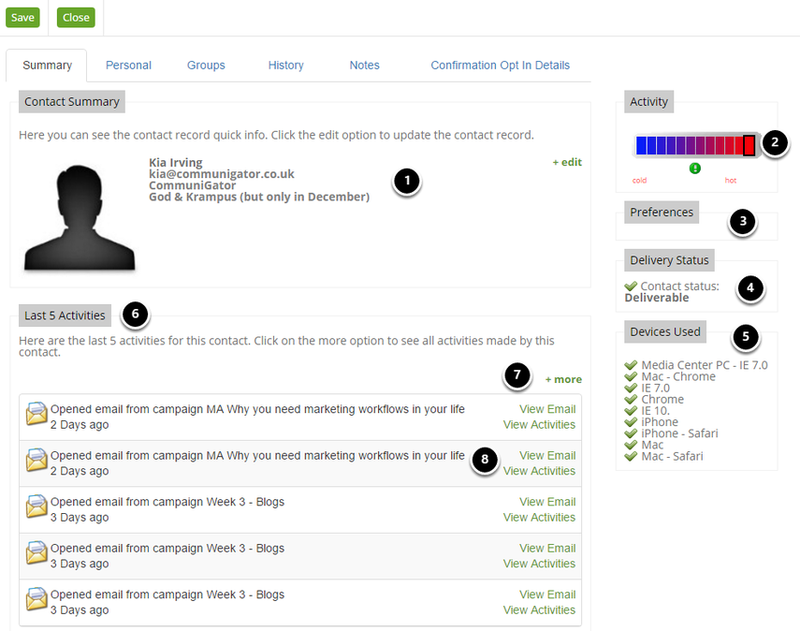 Allows you to view more email activities and more details about the users activity such as the browser which they have used to open and complete tasks within the campaign.